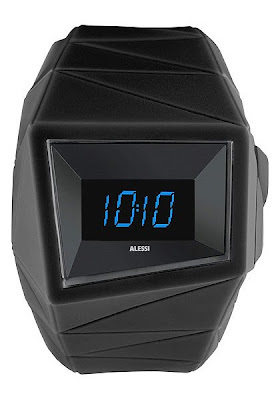 The Daytimer, a geometric digital time sculpture - brand new from the iconic Italian design brand Alessi and designed by renowned architect Will Alsop + Federico Grazzini, this watch features a high-contrast blue OLED digital display, framed by a bold geometric polyurethane case. 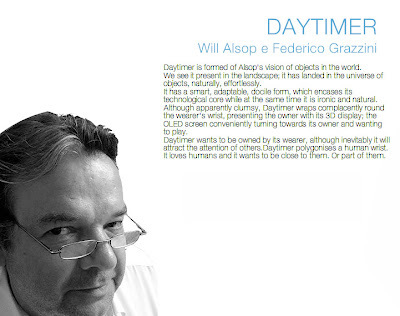 "Daytimer is formed of Alsop's vision of objects in the world. We see it present in the landscape; it has landed in the universe of objects, naturally, effortlessly. 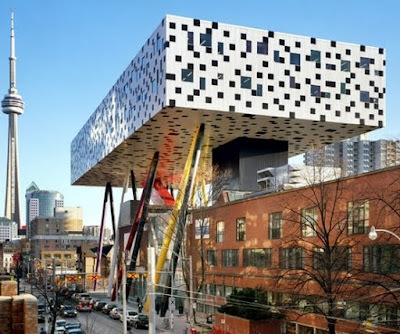 It has a smart, adaptable, docile form, which encases its technological core while at the same time it is ironic and natural. 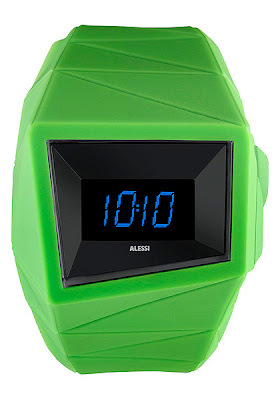 Although apparently clumsy, it wraps complacently round the wearer's wrist, presenting the owner with its 3D display; the OLED screen conveniently turning towards its owner and wanting to play. 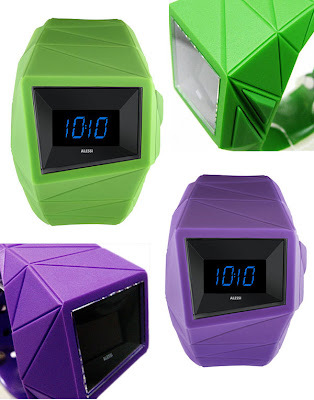 Daytimer wants to be owned by its wearer, although inevitably it will attract the attention of others. 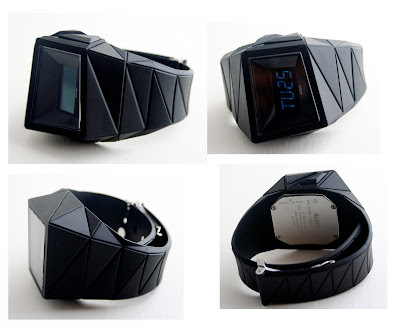 It polygonises a human wrist. 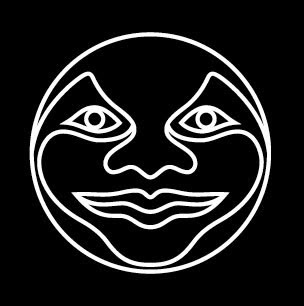 It loves humans and wants to be close to them. Or part of them. 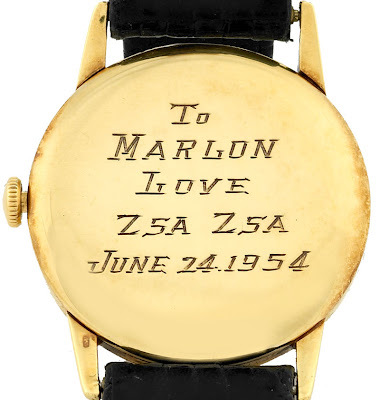 I wonder what Eva Gabor gave Eddie Albert for Green Acres...perhaps a Porky Pig watch? 595 Madison Avenue, 5th fl. 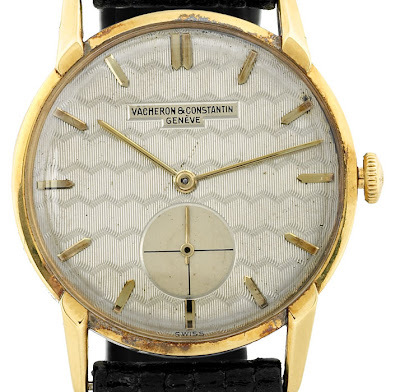 I dare you to find another model like this. 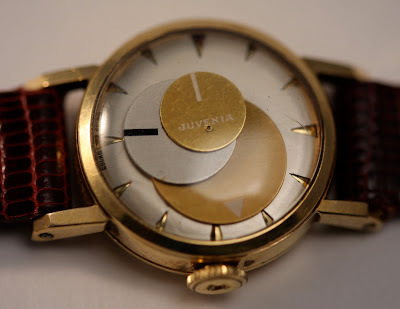 In all my years of collecting, I have not seen another three-disc watch quite like this vintage 1960s Juvenia. Each circle is offset from each other so each one representing seconds, minutes, and hours (small-to-large) rotate in an off-kilter formation. Each is attached at the far end of their marker lines creating an oblong rotation similar to planets with a variety of orbits. 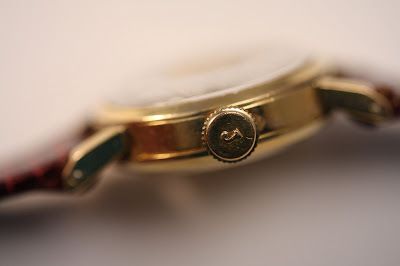 What is even more surprising is how small this watch is, only 20mm wide. 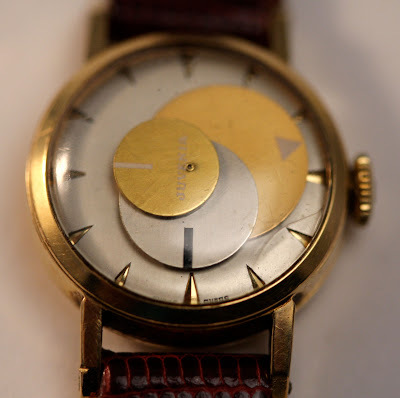 A very cool and strange ladies timpiece! 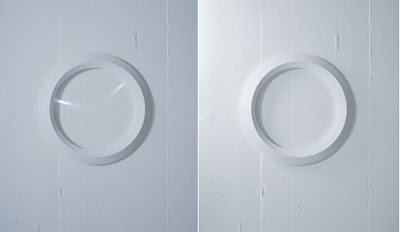 Mile Projects of Japan - Rays of Light "Good Afternoon Clock"
From the Japan Design team Mile Projects comes this simple concept clock with rays of light for hands. 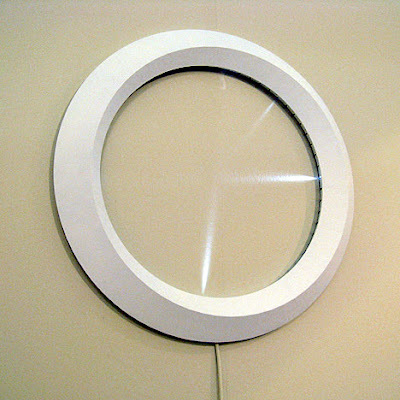 The beams shine from thin holes in the inner bezel and appear to light the negative space dial (whatever the ring is hanging from). 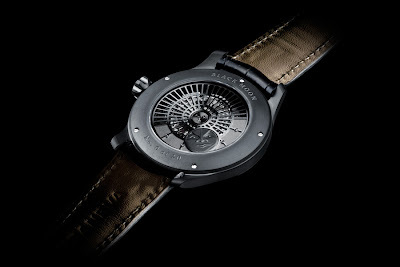 Sarpaneva Watches receives prestigious Red Dot Design Award! 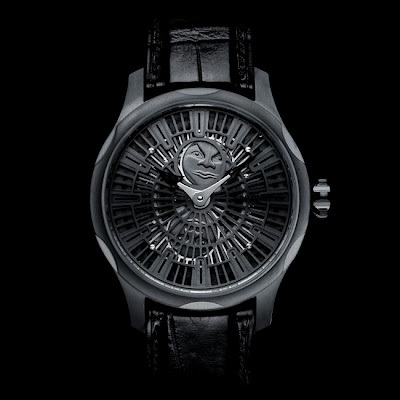 Sarpaneva Watches received the 2009 “red dot” award for the communication design created around the limited edition Sarpaneva Korona K3 Black Moon wristwatch. 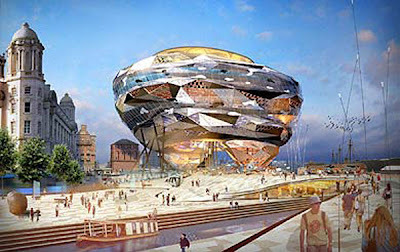 With more than 6000 submissions from 42 countries, the entries were evaluated by a panel of international experts on criteria of originality, effectiveness, emotional quality and design quality. 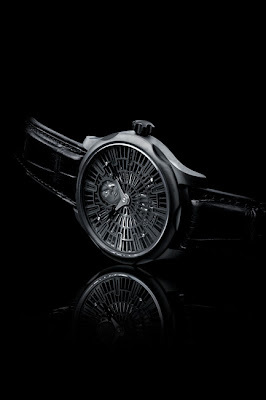 Sarpaneva Korona K3 Black Moon is the first mechanical wristwatch to indicate the invisible and ever mysterious new moon, and the award-winning concept was created to communicate this unique function. Inspired by the endless melancholy of the dark Finnish winter, the Black Moon concept is in complete contrast to the glamorous communication of other luxury brands. 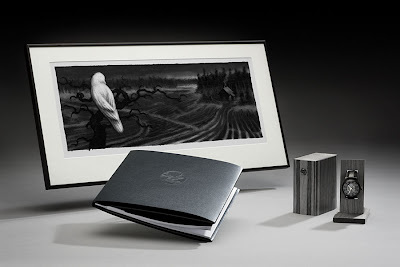 Limited to 20 pieces, each watch is accompanied by a hand-bound book “Black is the Moon” which recounts a thousand year old legend of Lilith: the seductive temptress, who preys on unwitting men during the new moon. Extending throughout all communication, the concept is captured in the catchphrase “Watch your black”. 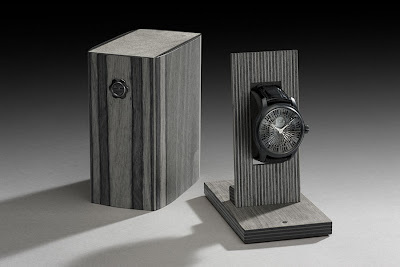 First unveiled in January 2009, the Black Moon continues to attract watch enthusiasts and exhibitors worldwide. 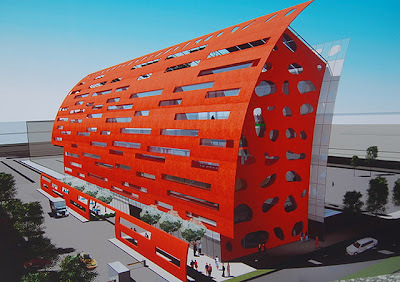 Presented by the Design Zentrum Nordrhein Westfalen in Essen, Germany, the red dot design is one of the largest and most distinguished design competitions in the world. 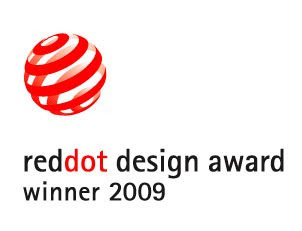 It is divided into the red dot award: product design”, the “red dot award: communication design”, and the “red dot award: design concept”. The award-winning work will be presented on 10 December 2009 in the winners’ exhibition at the Essen red dot design museum and online at www.red-dot.de.